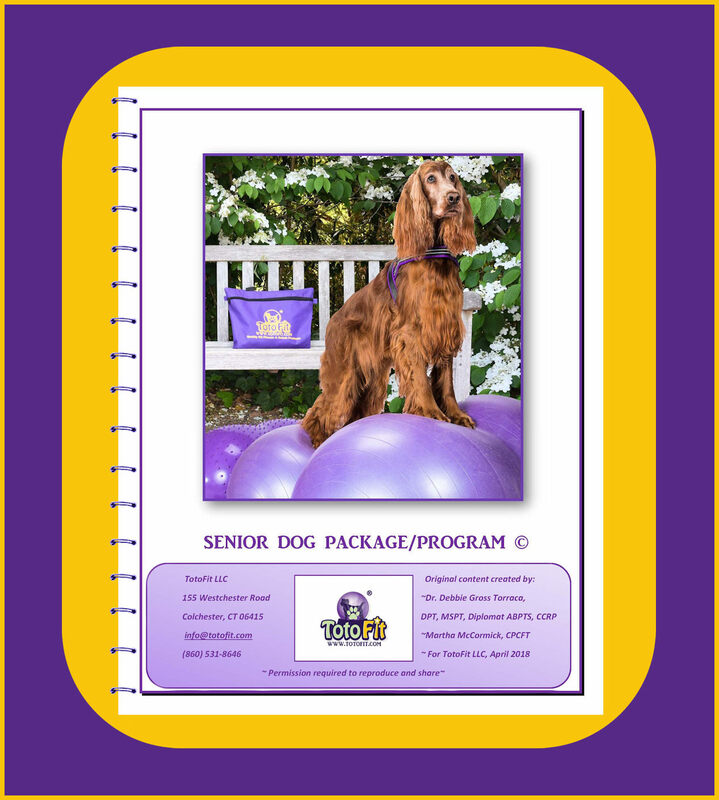 Help your Senior Dog live the best Quality of Life for the longest time possible. We’ve put together four different product groups, coupled with an easy-to-follow exercise program manual. Packages 1 & 3 are for Small-Medium Dogs; Packages 2 & 4 are for Medium-Large Dogs. And who are we? 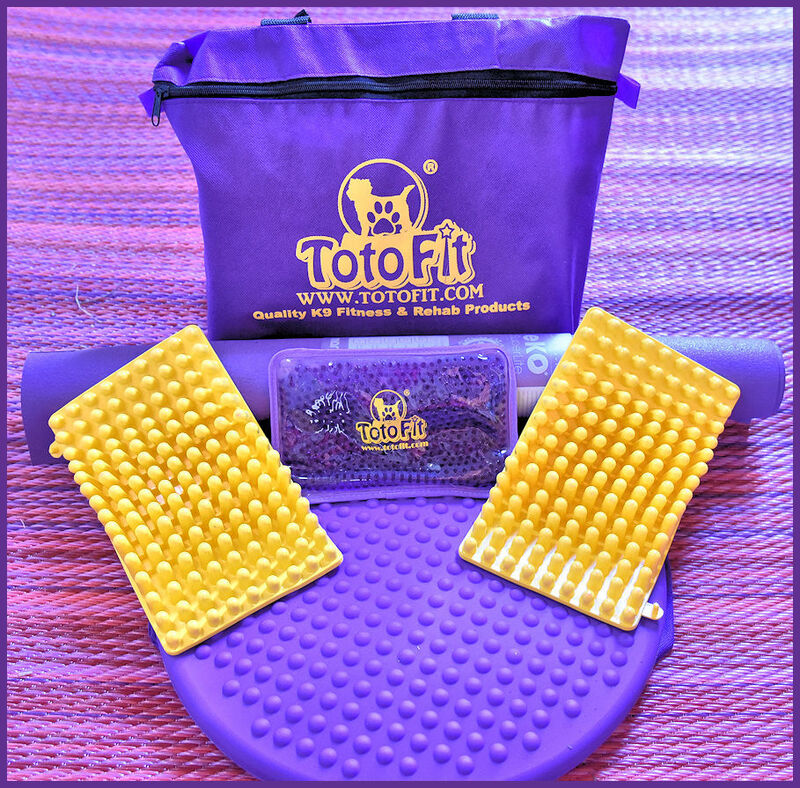 We are the owners of TotoFit LLC. Dr. Debbie Gross Torraca literally wrote the book on canine rehabilitation and has been working with young dogs, old dogs, healthy dogs, injured dogs, performance dogs and well-loved pets for the last 20 years. Martha raises and trains Bernese Mountain Dogs for conformation and performance. We both love animals and practice what we preach with regard to canine fitness and lifestyle. We’re here to help you start, answer your questions and make sure you’re dog is doing safe, appropriate exercises!